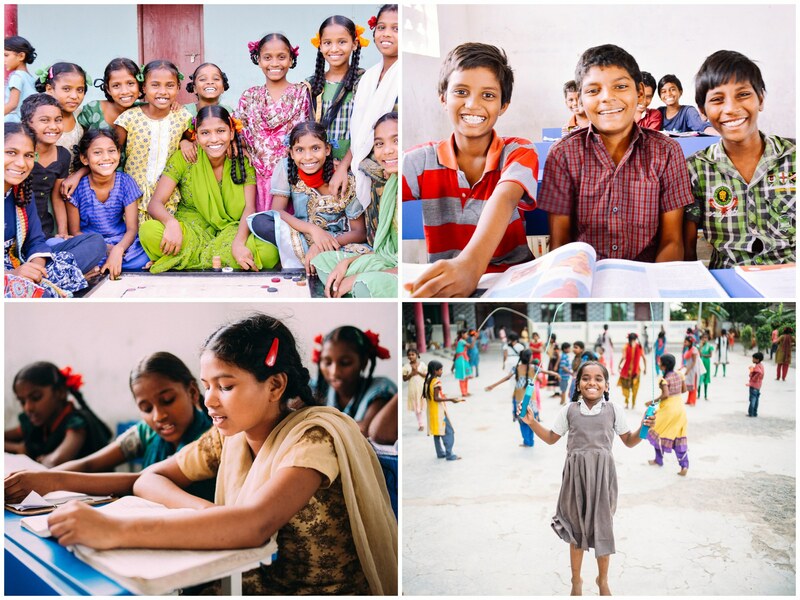 We are happy to report that thanks to a generous matching pledge from one of our donors, any gifts up to $100,000 toward our India high school fund will be doubled now through December 31st! We are seeking to raise $227,539 to purchase 1.32 acres of land adjacent to our main campus and to build an athletic field, locker room, and playground, which are all requirements for our new high school to gain accreditation. This will allow us to officially open the school for tuition-paying day students, while also allowing our own resident students to stay on campus for high school vs. being bussed off campus. So far we have utilized 52% of the matching fund. 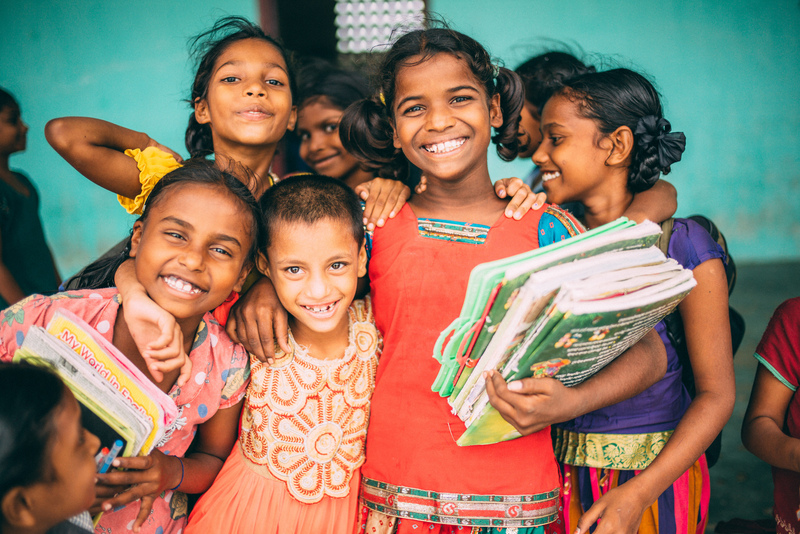 With your generous support, you can help us make sure we don’t waste any of the remaining matching pledge in this rare opportunity to serve orphans in India. Photo inset: (Top-left): Girls at our on-campus school enjoy playing a game during their recess break. (Top-right): These boys are excited to try out one of the new high school classrooms while their elementary school classrooms are being renovated. (Bottom-left): It’s our desire to provide our high school students with an accredited high school free of discrimination — a safe place for us to cultivate their talent and intelligence. (Bottom-right): The play space at our on-campus school is crowded; the purchase of adjacent land will provide space for a new playground and athletic fields with more room for the children to play.